● Always tow with the manual transmission in Neutral. ● After towing 805 km (500 miles), start and idle the engine with the transmission in Neutral for two minutes. Failure to idle the engine after every 805 km (500 miles) of towing may cause damage to internal transmission parts. To tow a vehicle equipped with an automatic transmission,an appropriate vehicle dolly MUST be placed under the towed vehicle’s drive wheels. Always follow the dolly manufacturer’s recommendations when using their product. Not surprisingly, the 4-speed automatic can't be flat towed, according to towingworld.com. Why not? Most automatic transmissions require the engine to be running when the vehicle is moving because the engine drives the transmission's oil pump which lubricates internal parts. If the engine's off while the car is moving, the transmission can be damaged. The manual transmission can be flat towed in neutral on 4-wheels, with the condition that the engine must be started and idled in neutral for 2 minutes every 500 miles / 800 kilometers to circulate transmission oil for proper lubrication. Link doesn't work for me, but it did when I found it on Towing World's site. You might need to just link to the resources page in order for others to open the PDF. I wonder why the manual Nissans need the engine ran occasionally, but most of the other manual transmission cars don't have that requirement. Is it a design difference, or Nissan just covering themselves? Thanks - fixed the link. As for the 500 mi / 800 km start-up requirement... I've never seen that before either. Seems a bit odd. 500 miles is really pretty far. Fire up the engine once a day basically? Yeah that seems odd. I had thought most manual transmissions don't pump oil and simply "splash" the oil, so I wouldn't think that just firing up the engine would actually do anything without driving it. I could be totally wrong on that though. That's definitely a negative for a Toad (as they are often called here in the states), but how often are you traveling more than 500 miles in a day? The low cost may make up for the minor annoyance. 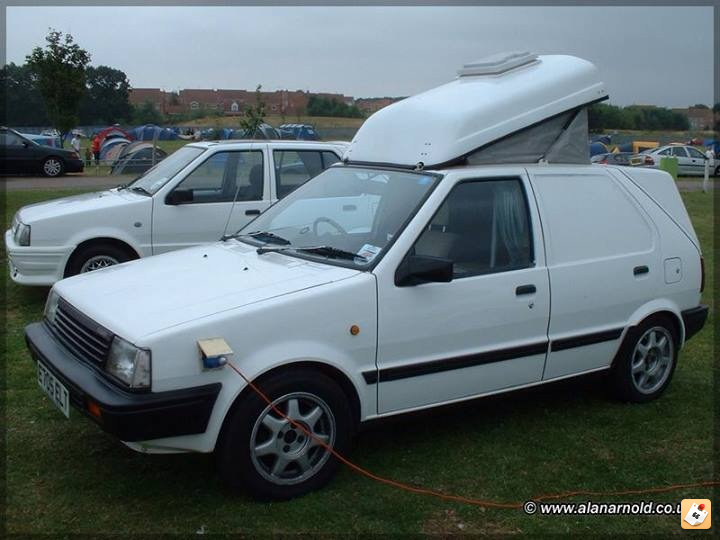 Wouldn't it make more sense to convert the Micra into a camper? Great information! I wouldn't think it out of the ordinary to run the car every 500 miles, exploring wherever one stops. Strange, but doesn't seem like a deal breaker to me. The Micra will find its way into the hands of RVers for sure. Its just too inexpensive to pass up. When you're just looking for a little run about, you probably aren't looking to spend a few thousand more than you plan to if you can get away with it.